Sienna Harris is a girl with a plan. Her days of slaving away at Carrie’s Classic Events and More are numbered as she is on the brink of launching her own event planning company. Her relationship with Luke Price is headed in the right direction and they are approaching their one-year mark. The future is looking bright and she knows that life could not get any better . . . That is until her perfectly planned world is thrown upside down by the unexpected arrival of someone from Luke’s past. The waiting area is full of big, cushy love seats, and the décor is very Mediterranean with rich shades of gold, red, and brown. It is so warm and inviting. I have to text Madison, so I tell Luke I need to use the restroom and check my makeup. I’m sure he knows I’m lying, but who cares. There is a very sweet attendant handing out hot hand towels in the restroom, which is probably the size of my apartment. It has so many products that it could very well be a beauty supply store. I pull out my phone to text Madison. I put my phone back in my Tory Burch clutch purse (a small splurge, but I bought it at the outlets), check my makeup and hair, and head back to Luke. As I am walking back to him, I notice that he is talking to someone. His body language says it all; he does not like this person. I walk up and stand beside him to see who this person is. I think my heart stops beating for a minute. I look up to see the most handsome man I have ever seen in my life; he smiles at me and his eyes actually sparkle. I am NOT KIDDING! I feel like I have landed in a Disney movie. Why did I just hesitate? I am on an anniversary date with my boyfriend. “It’s nice to meet you.” I reach out to shake his hand, and I swear my stomach does a backflip. The exquisite dress, the dazzling menu, the family drama . 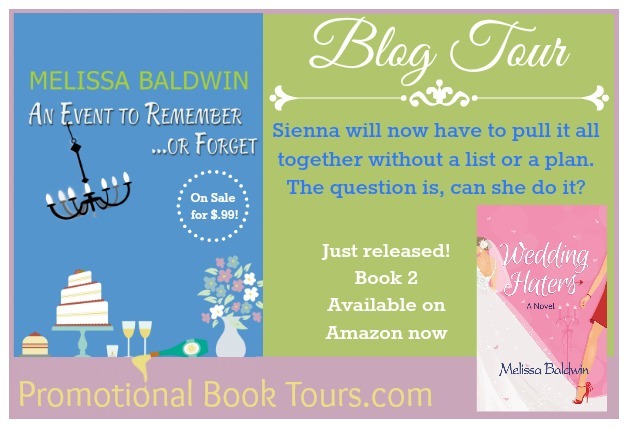 . . It’s the day every girl dreams of, and Madison Wales is no exception. Her wedding plans seem to be going perfectly thanks to her very talented wedding planner, Sienna Harris. That is, until her grandmother and her two overachieving, bullying cousins suddenly want to become very involved in her big day. But . . . why? Madison’s perfect wedding dreams are dashed as things slowly start to unravel. 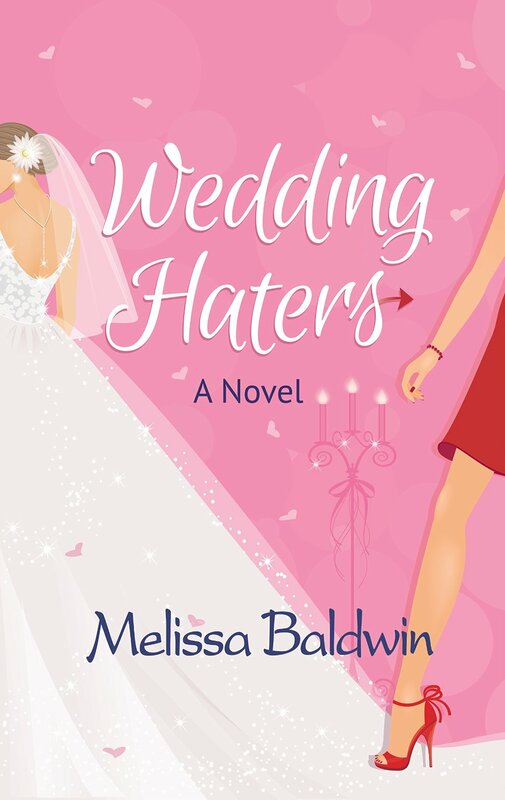 With family drama in her midst, she wonders if her cousins are behind each disaster or if she has truly become a paranoid bridezilla. Will Madison be able to withstand all of the pressure and finally stand up for herself? The idea of eloping with her fiancé, Cole, is looking better everyday, even if it means leaving her dream wedding behind. Will she make the right choice? Melissa graduated from the University of Central Florida with a Bachelor’s Degree in Communications; she has always had a love for writing. 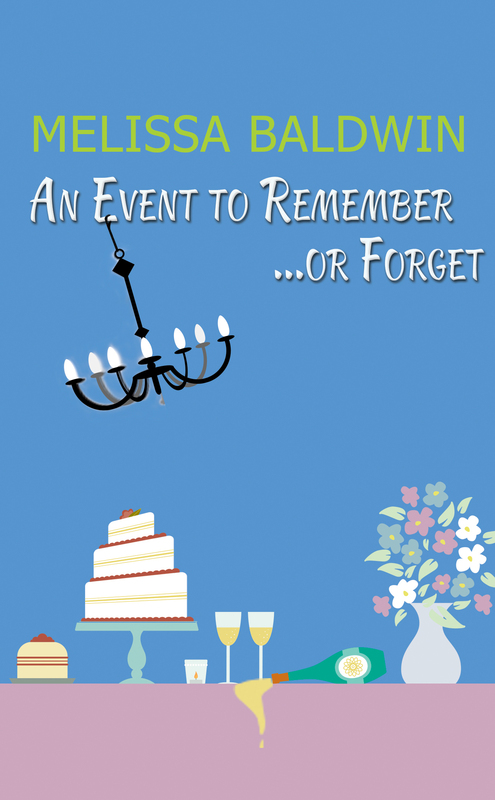 An avid journal keeper, she fulfilled her dream with her debut novel, An Event To Remember . . . Or Forget. 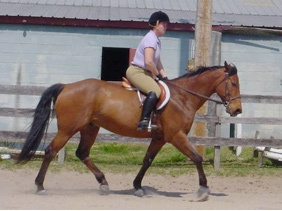 Melissa resides in Orlando, Florida, with her husband and young daughter. She is a master at organization and multi-tasking. Her daily jobs include mother, chauffeur, wife, PTA President, Fitness Trainer, and now Author. When she has free time, she enjoys traveling, fitness, decorating, fashion, and taking a Disney Cruise every now and then. (Revelation 9:3-9) Then out of the smoke locusts came upon the earth. And to them was given power, as the scorpions of the earth have power. They were commanded not to harm the grass of the earth, or any green thing, or any tree, but only those men who do not have the seal of God on their foreheads. And they were not given authority to kill them, but to torment them for five months. Their torment was like the torment of a scorpion when it strikes a man. In those days men will seek death and will not find it; they will desire to die, and death will flee from them. The shape of the locusts was like horses prepared for battle. On their heads were crowns of something like gold, and their faces were like the faces of men. They had hair like women’s hair, and their teeth were like lions’ teeth. And they had breastplates like breastplates of iron, and the sound of their wings was like the sound of chariots with many horses running into battle. When I first read this description in Revelation of the locusts from the bottomless pit, my mind was immediately drawn to the Shisa or Fu-Dog statues that I’d seen all the time growing up. Several Asian cultures have them, and they are considered to be wards of a house to keep out the bad and keep in the good. Gargoyles in general tend to have made a presence in architecture for centuries. So what if it’s all prophetic? People often get glimpses of things that belong only in the spiritual realm, so in my mind, I wondered if all these little statues, which don’t seem to have basis in a real creature that existed in the past, could be glimpses of the future. Taking that idea and the scripture in Revelation, I imagined a creature that would torment and bite humans, causing them pain and a state where they cannot find death (zombie-like). 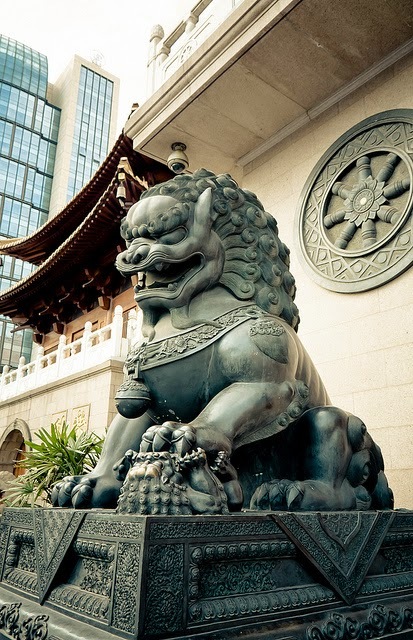 And because the Shisa have breastplates like iron, they would be nearly indestructible. Then came the best part: the warning buzz which would strike terror in all who knew they were coming. Taking an element from one of my favorite TV shows, Falling Skies, I made the aliens more believable by making them familiar, and slowly adding the other elements described in Revelation, as well…such as the scorpion tail. In the Sanctuary End Times Series, the Shisa are both demons and aliens, making their impact more dramatic and realistic for many readers. 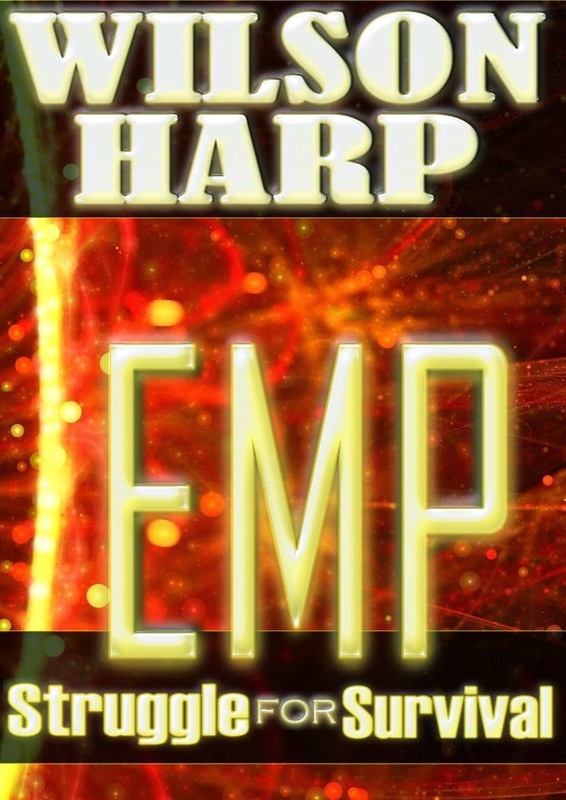 Aliens have attacked and Rory’s mother is missing, but none of that matters much to him. He’s safe in his apartment complex, has his friends and his twin sister, Hailey. But as supplies start to dwindle, it becomes obvious that he needs to do something to make sure they all survive…even if it means he has to brave going outside through the Shisa and the zombies people have become. As long as they are safe, that’s all that matters, right? 1. Patrick O'Brian, who wrote the twenty complete novels in the Aubrey-Maturin series. 2. C.S. Forrester, who wrote the Hornblower series (which inspired Patrick O'Brian). 3. Elmore Leonard, both his crime novels and westerns. I love his use of casual dialogue. 4. Mark Helprin, whose descriptions go to the soul of a thing. 5. Ishmael Reed, whose pyrotechnical grace makes reading a psychedelic experience. In an ancient time, a people made homeless by a devastating fire are led across a treacherous desert by a thrill-seeking thief, to a land he doesn't believe exists - and he started the fire. In a squalid ancient city on the edge of a desert (based on descriptions of the African Sahara’s Empty Quarter,) a weary, thrill-seeking thief named Omari sets his home on fire to start anew and cover his many crimes. When the entire city is unintentionally destroyed by the flames, the cornered thief tells the displaced people a lie about a better place to which only he can lead them, across the desert. With the help of an aged, mysterious woman who knows a better place actually does exist, they set out. The disparate people must come together to fight their way through bandits, storms, epidemics, and more. As a result of Omari's involvement with Saba, a fiercely independent woman who is out to break him in the pay of a merchant whom he has offended, his ability to lead - his very life - is jeopardized. As was his way, bin Aswad took no part in the celebration, and actually enjoyed his time alone as everyone else danced, sang and ate. Indeed, he had always found great pleasure in his love of numbers – calculating expenses, inventories and ultimately, profits. Despite Omari’s warnings about making money from the needs of others, bin Aswad had found it profitable to provide specialty clothing for those who could afford it. He found that some people paid well for themselves and or their family to look good in new clothing, and he was very clever in the re-use of old clothes to make new garments, as his cloth supply dwindled. Instead of being rich in coin, he now had more than his share of food, water, tools and other valuables. He was happily humming a tuneless melody while he sat counting a number of small gems, when his tent flap flew open. A stunning young woman moved in quickly and stood over him. Astonished, he scrambled backwards with his eyes and mouth wide open, spilling the gems onto the tent floor. No longer terrified, bin Aswad was still too surprised and embarrassed to form any reply, except to start picking up his gems while glancing up at the stranger. At first glance, Saba Khan possessed what might be called an extraordinary beauty – enough to turn heads, and very pleasing to the eye. In bin Aswad’s lamplight, her complexion was a satiny smooth, golden brown that seemed to blend into the darkness. Her finely sculpted face framed dark amber, almond-shaped eyes, which made him pause. For the brief moment he held her gaze, he was so struck by their sheer intensity, intelligence and perceptiveness that he stopped picking up his gems. His attitude changed to awe and he was willing, even eager to hear what she had to say. “How do you know my name?” he mumbled, too awestruck to ask all the questions in his mind. “You are well-known, bin Aswad. You have many customers—people you talk to and trade with. Some of the things you receive in trade are precious gems, such as that one you missed, just there.” She pointed a slender finger at a ruby behind him. “That is why I’m here,” she said in a low voice. “Remember my first advice? You’re not going to be able to hang onto such a stone much longer anyway. Too many people know about it. Right now, all you have to do is say ‘yes’ to the deal. If you do, I will give you more details later. Of course, whether you agree or not, I must refer you back to the second advice – keep your business to yourself. Now, do we have a deal?” She leaned forward and smiled as if she knew the answer. 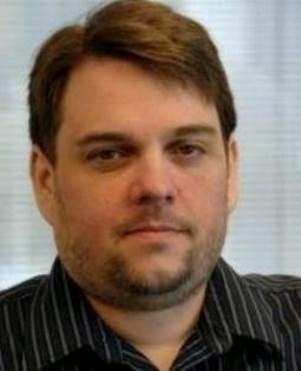 Chicago-born Stephen Whitfield began writing as a Marine Corps print journalist. 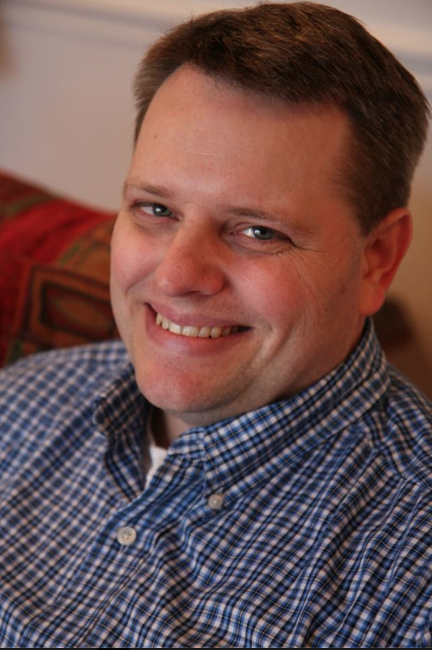 His writing has appeared in military publications, as well as the Kansas City Star and the Jersey Journal. He holds degrees from from Loyola University Chicago, Chicago Theological Seminary, and Indiana University. Stephen currently resides near Orlando, Florida. 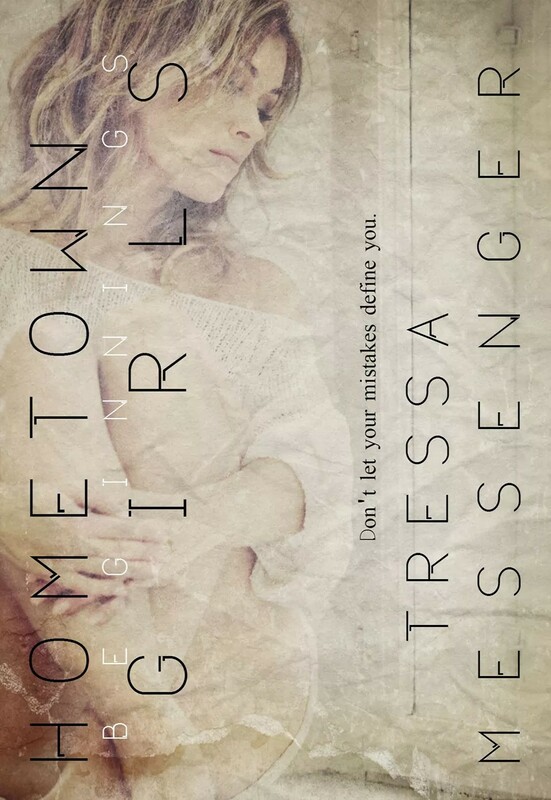 Tressa Messenger grew up in a very small town in Eastern North Carolina called Reelsboro in a coastal county called Pamlico. Being as it was such a small area Tressa developed an immense imagination at a young age. That is where she harnessed her love for writing. To date Tressa lives in New Orleans Louisiana with her husband, daughter and an assortment of critters. Her journey, her love, her loyalty. A young Aussie meets the love of her life, a young Croatian man she connects with while she is on a holiday in the former Yugoslavia. A man she'd later become engaged to. Their love suffered its first hurdle when he went into the military while she returned to her homeland, only later on to not be denied when she goes to Croatia to be with him. But their greatest test was yet to come... war had come to the European region 1 year after she had arrived to be with her one true love. Can the bonds of love, and later family, survive the trials of inner-turmoil and spiritual struggle that only war can spawn? This is the story, of Marica Love. Marica Love's passion for humanity, music, creativity, and living an abundant life is rivalled only by her love of children; motherhood is the root of her greatest successes. Born and raised in Australia, Marica is the eldest of four siblings. She moved to Europe at the age of eighteen and stayed until the end of the Croatian War of Independence in 1995. 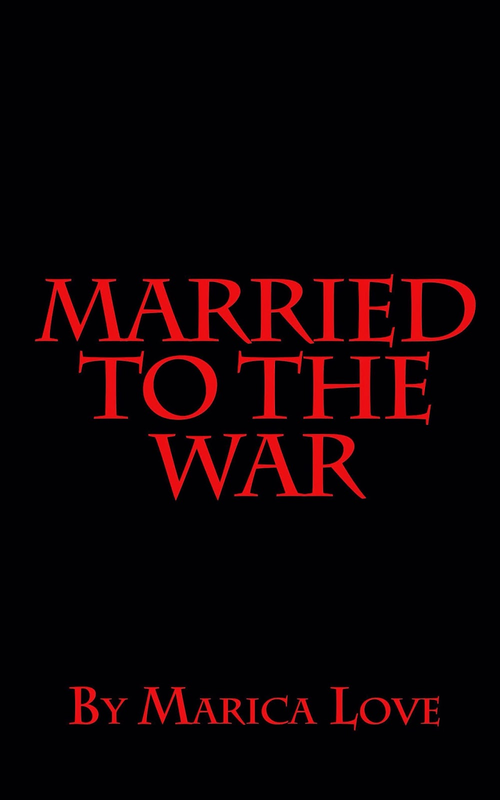 Marica's personal journey is candidly chronicled in her new book, Married to the War, the first in a series. Once hailed by a newspaper photographer as "Nice, friendly, flamboyant and savvy", Marica embraces those accolades and flourishes in every role she undertakes. She was the station manager, a member of the board of directors, on on-air presenter and program manager with WOWfm 100.7 for five years and was the producer of her television show 'Unsigned & Inspiring' on CH31 in Sydney. Music serves as an endless source of motivation and inspiration to her. As the owner of The Cake Pop Emporium Pty Ltd in 2013, she had the honour of serving political dignitaries, the Former Prime Minister Julia Gillard and MP David Bradbury in her store. Marica is not influenced by other's opinions and expectations. When the calling came to start over in life again, she embraced the opportunity. She is guided from within and will continue to bring her ideas to life with the influence of God and her Angels. A strong will, tenacity and compassion are virtues which enabled her to begin again and she is thriving. Please visit her Facebook Fan Page - 'Marica Love' for news and updates. Besides the many authors I adore and love to read. My family and friends are my inspiration for writing. Though, there is a huge part of me that is my own inspiration. I push myself to try harder and to do better. That’s a part of writing; you keep writing every chance you can, and you’ll achieve those goals and be a great writer. Alexis has had big dreams all her life, and she’s worked hard to make them happen! After college she married and had a beautiful baby boy, living her dream as “Mommy” until Colton was safely entrenched in grade school. She lands her dream job at NASA, and her supportive husband, Jay, takes the lead on raising their son. The perfect family, right? Alexis drove out of the parking lot and headed towards the Martin Andersen Beachline Express. When she arrived at Cape Canaveral, she drove to Canaveral City Park. There she sat and stared at the Atlantis Space Shuttle in the far distance. Imagining the day she would climb inside one just like it and soar through the sky towards the unknown; to a whole new universe where she didn’t have to think about her life and everything that had gone wrong. Now, it would take years before she received another chance. IF—and it was a very big “IF”—she ever received another chance. That is, IF she could beat breast cancer. This opportunity was something she wasn’t sure she could pass up. Her health was important to her, but so was her job, and if her boss found out, there would be no flying into outer space. Reclining her seat back, she closed her eyes and rubbed her temples, trying to calm down enough to ease the tension headache. Her thoughts involuntarily went to her late husband, and she wished Jay could be with her. Jay would’ve known what to do. He could always comfort her in a way no man had ever done before or since. He was thoughtful and kind, always putting her needs above his own. God, how she wished he was here with her now! There was never a day she didn’t think of him and miss him. She asked herself as she did all the time, “Why did he have to die?” Then, she wondered how she had been able to cope with his death. Of course, she had continued to mourn, but she really couldn’t remember how she’d got through the loss and pain of losing someone so close to her. Donna M. Zadunajsky was born and raised in Bristolville, Ohio, and resides in Homer Glen, Illinois. She has written seven children’s books that are about her daughter and all the adventures she has done in her young life. They are currently on the Barnes and Noble website, at Amazon.com, and at www.littletscorner.com. Available in eBook and paperback. She spends her time writing short stories as well as novels. 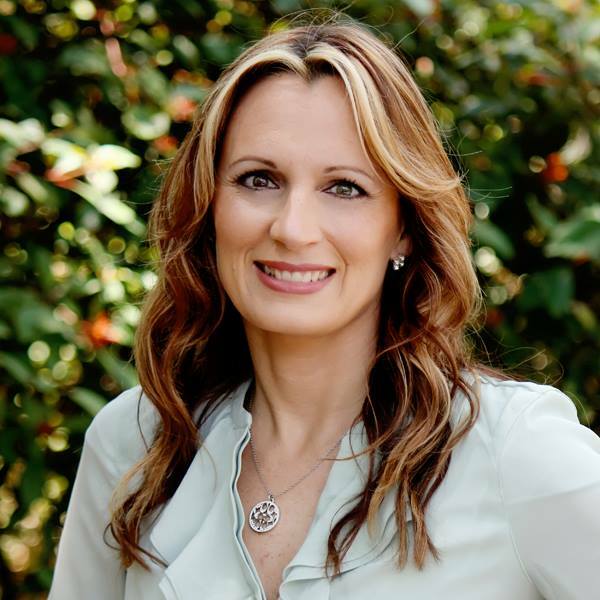 She published her first novel ‘Broken Promises,’ in June 2012 and has currently finished her second novel ‘Not Forgotten.’ Besides writing, she enjoys spending time with her daughter and husband, their dog and two cats. She enjoys reading and working on crafts and scrapbooking. She graduated from The Institute of Children’s Literature in spring 2011. Well, my writing days are all different, as much as I like routine and structure. I have a toddler, and am a stay at home mom. My husband is a pilot so when he’s working, I’m on 24/7. I also have a part time job as a graphic designer, so my days are full, that’s for sure. But, they go something like this. When I’m behind, I get up early and work before my daughter wakes up. Those are usually writing days. So I try to catch up on words I should’ve written the day before, or maybe get ahead if I have a busy day full of nap time meetings scheduled. 8 am to 1 pm is my daughter’s. There’s no work that happens during this time. None. We play, we go to music class, or the library, whatever. It’s about her. 1 pm to 3 pm is nap time, so it’s mine, all mine! Most days I have a short graphics meeting, then I can start writing. At this stage, I have two books that I’m juggling. So, at any given point, one is in the writing or outlining phase, and the other is in the editing phase. For example, today I’m working on outlining The Dead World, and Unforgiven is with the editor. I want to start writing TDW this week! So, during naptime, I work on tweaking the outline, setting scenes in my mind, as well as learning about the characters and who they are. Then 3 pm to 8 pm is back to my daughter. After her bedtime I work anywhere from 2 to 4 hours if I’m really behind. That doesn’t happen too often though. Some days I have a lot of administrative stuff to do, like writing guest posts (haha), keeping up with social media, responding to comments on the Web site, and stuff like that. Some days I can just write and those are my favorite! After all, that is why I got into this business. On days when I can get into bed by 10, I like to read for a bit. Right now, I’m slowly working on Sea of Stars, by Amy Bartol and LOVING it! It’s totally amazing. So, it doesn’t sound like much, but that’s my day. Somehow, it adds up to 4 books so far, with three more planned this year! And I love it! The body lay on a two-piece metal pyre in the center of the clearing. Nothing more than the skeleton of a table, the pyre was simply used for the display and transport of the bodies. Burning the dead was a custom from the time before. the top to hide his injuries, and the matching navy slacks had recently been pressed. With his hands folded over his abdomen, Wesley looked rather dashing. Ashley wished her match had actually been dashing in life. their belongings were redistributed among those in need. The dead’s family wasn’t allowed to keep anything they didn’t need. Sentimentality was a lost emotion to the islanders. Reusing everything was essential, even if the previous owner was a dead man. father’s outfits on another man. Even then, at the tender age of ten, she’d understood it was bound to happen eventually. She just hadn’t expected it to happen so quickly. Only a week after his funeral, she’d spotted one of her neighbors walking down the road in her father’s clothes. She ran to him, hoping her father’s scent might still linger on his shirt. But the man neither embraced her nor offered her any sympathy. He only looked at her with wide eyes,the horror and disgust plain on his face. funerals she’d been to in her lifetime—at least one a month. Unexpected deaths, like that of her match, added to the average. her father, and now Wesley. Her father’s funeral was, of course, devastating, made more so by the fact that they’d shared the same first name. Everything the elders said about him could have also been applied to her. How they were thankful for “Ashley’s life,” how they wished “Ashley peace.”It sent shivers down her spine. escalated into something much worse, was nothing more than a hazy memory. Still, Ashley missed her mother terribly and felt incomplete without her. She searched for her whenever the jasmine got caught on the wind, because her mother had loved to wear the flower behind her ear. about it. The loss of her parents had left her feeling completely alone. She’d hoped to find love again with her match, but he’d left her terribly disappointed. biggest player fighting for space in her mind. Relief to have escaped the abuse and the pressures of being the next elder’s wife. Guilt came in at a close second, but not because she regretted killing her match. Finding Fisher is a short novel about love, lies, loyalty and what it means to be truly alive. Author’s Note: When I learned about the tragic death of cover model Josh Nicholson and saw the wonderful photos that Eric McKinney of 6:12 Photography had taken of Josh I just knew I had to write a book in his memory. This is the novel that Joshua Scott Nicholson inspired. 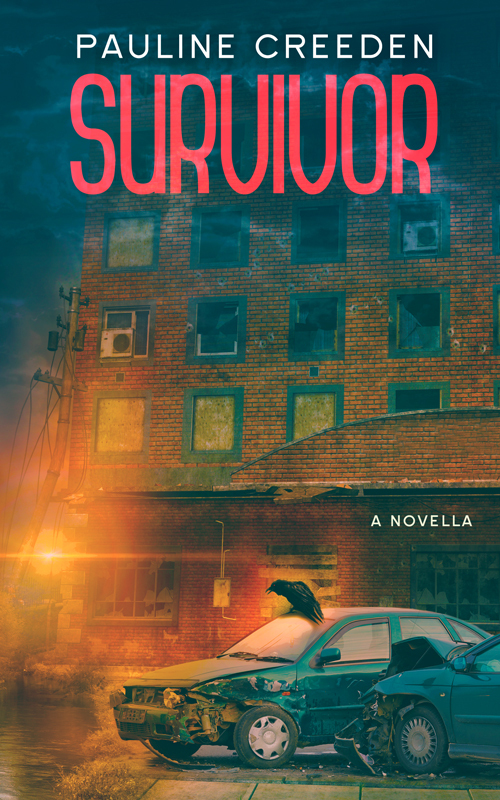 A portion of the profits from the cover and book sales will be donated to Joining Hearts, Inc., a 501(c)(3), all-volunteer, non-profit organization dedicated to providing housing support to people living with HIV and AIDS in Atlanta, in memory of Josh. I feel like I’ve been slapped in the face when I see a run-down double-wide at the end of the driveway. The house, if you can call it that, has definitely seen better days. And those days weren’t in this century. The place is surrounded by old trucks in various states of disrepair along with piles of engine parts everywhere. After I park the little Hyundai I hop out and stretch my long legs. I normally don’t do well in compacts, even with the seat back as far as it will go. This car is no exception. As I look around for signs of life all I see are a few mangy-looking stray cats milling about, no doubt searching for rats or other varmints who will serve as their next meals. I guess it’s not just me and the cats here. I head toward the area from where the exclamation emanated. An old truck that looks like it hasn’t been driven since the 1950s is behind another truck maybe from the 1970s. There’s a man with the entire top half of his body underneath the hood of the older truck, obviously trying to fix it. All that’s visible as I approach is his bottom half, in tight-fitting Denim and black work boots. I clear my throat, hoping to get his attention, but I get a rather annoyed “Just a minute” instead. He laughs. One that sounds familiar. Too familiar. His laugh sounds just like Franklin’s. A shiver runs through my entire body in response. When he extricates himself from the hood of the car and turns toward me my knees buckle and I nearly faint. The man grabs me just before I hit the dirt. Once he has me upright I notice that the brand new white silk shirt I’m wearing is now covered in grease. “This can’t be happening,” I utter as I try to remember if grease can be removed from silk. I quickly remove my stash of sanitizer wipes from my pocketbook and get to work trying to remove some of the grease from my shirt. “I don’t think that’s going to work,” the man says. He looks just like Franklin, but a disgustingly filthy version of my fiancé. Every inch of the guy is covered in grease and dirt. It’s like my worst nightmare come to life. One of the few things I hate more than being disorganized is being dirty. I will do almost anything to avoid becoming soiled in any way. The guy’s eyes search mine as if he’s trying to figure out what I’m doing standing in front of his old truck in the middle of nowhere New Jersey. “Here,” I say as I hand him two of my sanitizer wipes to clean his grimy hands. “He really is gone?” My voice cracks again. It’s starting to get annoying. His face looks pained. Grubby and wounded. As it finally starts to sink in that Franklin, my Franklin, really is gone. I can feel my entire body start to shake. And before I know what’s hit me I’m crying. Me, Chloe Woodford, the girl who never shows any emotion, is blubbering like a child. “I just—don’t—understand—it,” I say between snivels. I hold up my left hand, hoping he’ll take note of the 1.2 carat diamond engagement ring that Franklin bought me. “Franklin is—um—was my fiancé.” I try to speak with as much dignity as I can muster, but the words still feel like they’re getting caught in my throat. When he slams the hood of the truck closed I nearly jump out of my skin. I’m raw and on edge and the loud noise sends me reeling. I’m not sure what to do. I don’t like Franklin’s brother. I really don’t want to be around him and his filth, but I’m not sure I have any other options. I need answers and at least he’s giving me some, even if I don’t like the message or the messenger. My mother is a shark is sheep’s clothing. And she always told me you can catch more flies with honey than vinegar. That might be a cliché, but I’ve always found it to be true. I decide to up the charm a few notches to see if I can entice Franklin’s brother to tell me more. He removes a business card from the front pocket of his jeans and hands it to me. I try to grab it in such a way that I don’t have to touch the grease stained finger prints all over the outer edge. I examine the card: Fisher Smith, Mobile Mechanic and then a phone number. He just nods. And doesn’t really give me a clue whether he’s interested in knowing anything about me or not. But I soldier on because there are a lot of things I still want to know about Franklin. And in order for me to get the information I want I need to try to warm Mr. Iceman up a little bit. “Nope. How did he die? He must have been pretty young.” As soon as I ask the question I immediately regret it. Especially when I see the look on Fisher’s face. I really like the sentiment behind this book and the story idea. I can't imagine losing a fiance, let alone finding out that our entire lives together have been a lie. The betrayal that Chloe must be feeling deep inside is horrible. I also cannot fathom her confusion when confronted with an identical twin, who looks and sounds just like the love of her life, but has a completely opposite personality. The idea makes my head swim. From what we learn about Franklin throughout the story, I have to say that I am not a fan of his. His lies and deceit hurt so many people and he was extremely selfish. He was lucky to have a woman like Chloe. His loved ones definitely mourned him, but more the man he had been once upon a time, not the man he had become. Fisher is amazing. He is rough and rugged, yet soft and loving. He may not have book smarts, but he is intelligent and hardworking. He is also truthful and faithful, which are two extremely important attributes in a leading man. It is no wonder that Chloe is drawn to him. Dakota Madison (and all of her other alter egos) always does a great job creating that dream leading man, who is completely believable. I didn't find myself as drawn into Chloe as I had thought I would. She seemed to leave a part of herself closed off. I was waiting for her to have a true meltdown over everything she had lost, even though she gained so much. Some of the timeline in the story also threw me off a little bit. I love the setting of Old Town, which winds through all of the alter egos' stories. It seems like a magical place, with amazing people. I will always one-click these stories. Reunited with an old flame and guided by a pompous blowhard, Darby sets out on a journey to learn the truth about his family’s past and their ancient blood feud with a ruthless industrialist. Darby’s quest leads him all over New England, from the rare books library at Dartmouth College to Author’s Ridge - the final resting place of the literary greats Thoreau, Hawthorne, and Emerson. Darby discovers family he’s never known and an insidious danger lurking in the arms of a rekindled love. Emily Baines glanced down at the streets of Midtown Manhattan from her corner office at Tither Publishing and fiddled with the single gray strand of Tahitian pearls that clung around her neck. Rush hour had already paralyzed the streets of the city as throngs of humanity struggled to reach their insignificant evening destinations. Worker ants, she told to herself. She had stayed late, disrupting her normal evening routine of pilates and a massage as she awaited confirmation that the assignment was complete. Her cell phone buzzed, announcing the receipt of the message. A smile blossomed on her face as she read the expected news. The object of her attention had paid the fee just like so many other political malfeasance, celebrities, and religious buskers that Tither had squeezed over the years, avoiding what would have been a very messy and very public scandal. Dirt was her business and business was never better. She verified the $20,000,000 transfer had been processed. Sitting down, Emily congratulated herself as she poured another glass of Perrier-Jouët and marveled at how far she had come: building Tither Publishing into a media giant with no equal. She rarely thought about the past, but the picture and associated story on the front page of the New York Times stopped her cold in her tracks, causing unfamiliar pangs of nostalgia. “Darby S. Weeks,” she said slowly while biting her bottom lip and caressing her pearls. She paced her expansive office for a minute, looking at the picture as memories invaded her mind. Throwing the paper on her desk, she hastily buzzed her personal assistant. Ready or not, here I come, war hero. 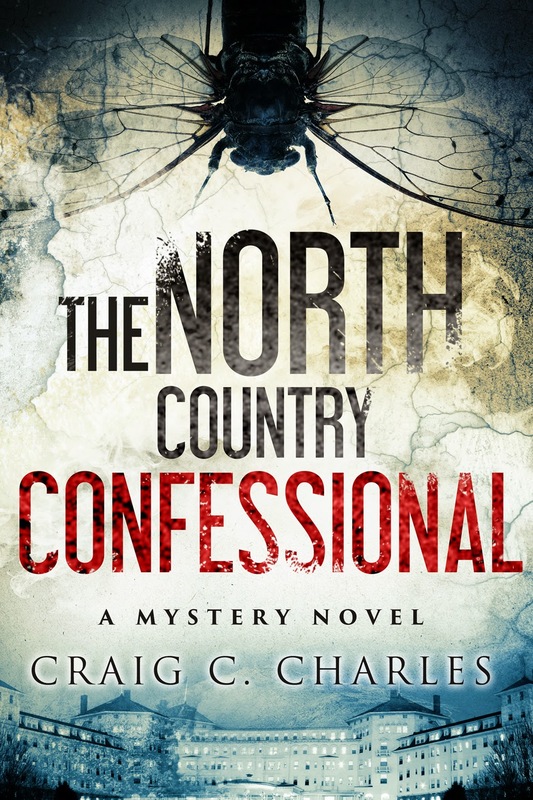 Craig will be awarding a $15 Amazon or B/N GC to a randomly drawn winner via rafflecopter during the tour, and a $10 Amazon or B/N GC to a randomly drawn host. Follow the tour for more chances to win! Follow the tour to win $25 Amazon/BN GC!